15 Practical Prepper Gift Ideas - Get Them Something This Year! It pays to be prepared, which is why a variation of that statement became the official scout motto. It’s also safe to say that no one is ever quite as prepared as survivalists, otherwise known as preppers. If you are not a prepper yourself, you might be at a loss for what gifts may best suit friends, family members, and others in your life who have a passion for emergency readiness. To help you out, we have put together a list of 15 awesome gift ideas for preppers, as well as some guidelines on what features to look out for. In the event of a disaster or emergency, your giftee is likely not going to be able to pop on down to their local hardware store to pick up a replacement for the item you have given them. As such, your gift has to be of good quality and, therefore, durable. No one wants to be caught in a life-or-death situation only to have the supposedly brand new item they are relying on fail! In many emergency situations, people may need to move around a lot more often. This means that they will have to be selective about the items they pack, as there can only be so much storage space in a duffel bag. This is why compact, lightweight gifts work best for preppers. Preppers are getting ready for intense survival situations. In these extreme situations, they will have to keep luxuries to a minimum. That’s why a good present for a prepper involves multi-functionality. A tool that can do one survival task extremely well is good – but a tool that can do many survival tasks at once is even better. In a disaster situation, in order to carry on, your giftee will need enough food, water, and health supplies. By providing them with items that will help meet these needs, you are showing that you truly care about their welfare and want their survival pursuits to succeed. 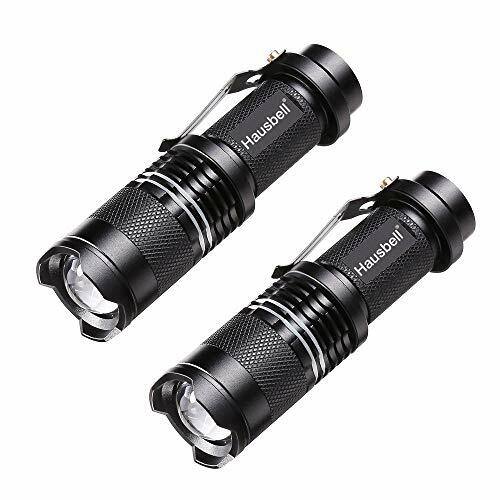 The Hausbell 7W Ultra Bright Mini LED Flashlight is an extremely bright 300 Lumens torchlight that is excellent for both standard everyday and emergency or outdoor use. It has three different brightness settings as well as an adjustable focus range zoom feature that allows the beam of light it emits to be widened or lengthened. This LED tactical flashlight is made to be water-resistant, and its compact size makes it easy to grip, carry along, or slip into a bad. It can operate on either 14500 rechargeable lithium-ion batteries or AA batteries. An ax or hatchet is an indispensable tool for preppers. The Schrade SCAXE10 11.1in Full Tang Hatchet is just 1 lb 5.9 oz in weight and 11.1 inches in length, making it a great size and weight for both functionality and mobility. Its blade is fashioned from 3Crl3 stainless steel, promising strength and durability. This full tang hatchet is equipped with a hammer pommel and a thermoplastic belt sheath, which make it even more useful and convenient. 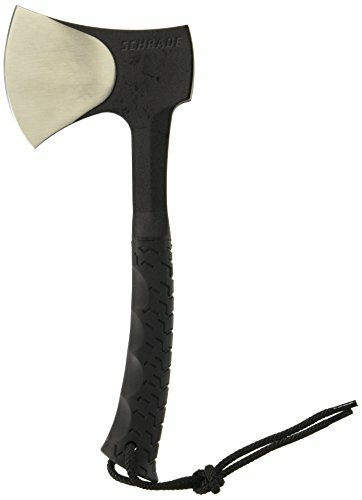 This hatchet’s handle is designed to be ergonomic and uses wrapped rubber, so your giftee will always have a sturdy grip. An individual thrust into a survival situation may not have access to gas or electric stoves for cooking. That’s where the Emberlit Stainless Steel Stove comes in handy. Made from 304 stainless steel, this stove is corrosion-proof, resistant to weather damage, and is highly strong and sturdy, allowing it to easily hold the weight of any pot or pan. Despite all its strength, this stainless steel stove weighs in at only 11.3 oz, making it a surprisingly lightweight wood burning stove. It’s easy to set up, great for all skill levels, and can boil water in just 10 minutes! 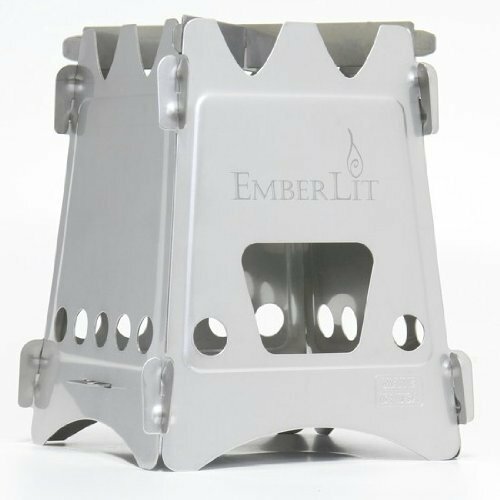 It even comes with EmberLit’s lifetime warranty. 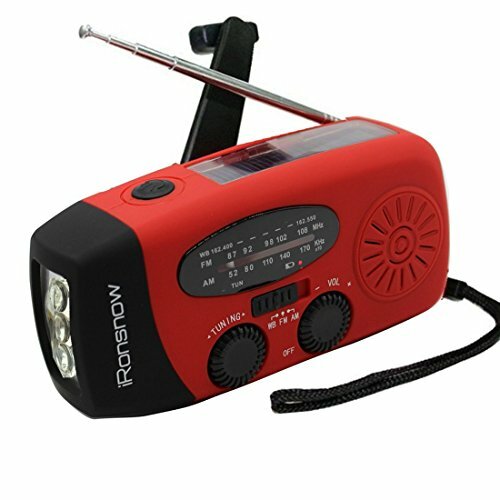 The iRonsnow Solar Emergency Hand Crank Radio and Charger fills many needs at once. It serves, first and foremost, as a compact radio device that can seek AM, FM, NOAA, and weather channels. It also has a 3 LED flashlight that is very bright and powerful. And on top of all that, it can charge cell phones and other devices through USB cables. This radio and charger can use 3 different charging methods. Your giftee can use a micro USB, solar power, or the manual hand crank to get power into the device. It weighs less than half a pound and is compact, making it the perfect addition to a survival kit. Plus, since 2015, this brand has aided over 300,000 people in America during the storm and hurricane seasons. 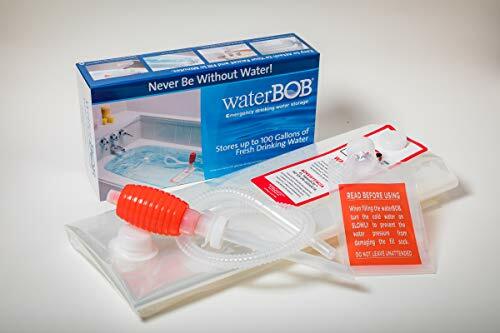 The WaterBOB Bathtub Emergency Water Storage Container is an innovative water containment system. To use it, it is deployed inside a bathtub, the nozzle is attached to the bathtub tab, the bathtub is filled to the top, and the container seals and holds the water, protecting it from dirt and bacteria. This water storage container can hold up to 100 gallons of water and is quick and easy to use in emergency situations. It is made from food-grade, heavy-duty plastic, and materials that have been approved by the USFDA and are entirely BPA-free. 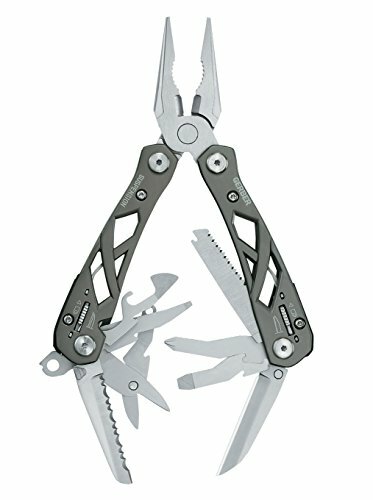 The Gerber Suspension Multi-Plier is an impressive and sturdily built multitool that makes use of 12 different components. All components are safely and securely locked in place so they are not deployed on accident, but they are also easy to whip out and use as needed. This Multi-Plier uses a lightweight stainless steel open-frame handle that allows for both durability and compact, easy mobility. It weighs a mere 9.6 oz and measures 4 inches in length when closed. Plus, it has an accompanying nylon sheath and a limited lifetime warranty! Your giftee will never be caught out in the cold again with the Swiss Safe Emergency Mylar Thermal Blankets. 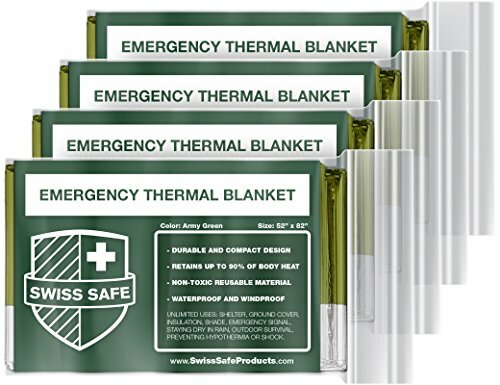 These mylar emergency blankets are army green in color and come in a set of four, with an extra gold space blanket in every pack. They are large and made from 12-micron aluminized polyethylene mylar of a military grade. These thermal blankets are specifically designed to help users retain body heat – up to 90% of it! They are able to block out moisture from rain and snow, and they are extremely durable and lightweight at only 2 oz. And of course, they have a 100% money back guarantee. Power is a crucial resource in an emergency situation. 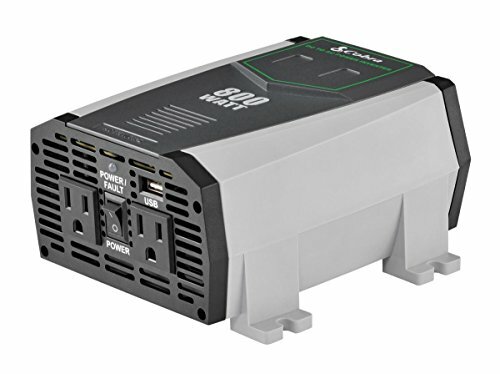 With the Cobra CPI890 800W Compact Power Inverter, users can connect directly to their cars or other vehicles to receive 1600 Watts of energy at Peak, or 800 Watts continuous. You can purchase different capacities, too, at different price points! This compact power converter is small and mobile, making it perfect to bring along. It has a convenient 2.4 amp USB output that easily connects to a variety of devices to provide all the charge necessary. It also uses Cobras Pentagon Protection, which provides 5 protection levels against failure. 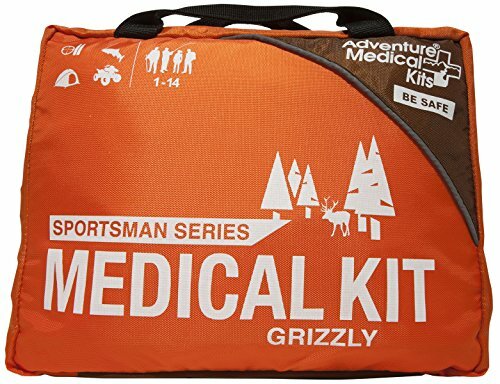 The Adventure Medical Kits Sportsman Series Grizzly First Aid Kit is an incredibly comprehensive emergency first aid kit that includes enough supplies to provide hospital-level care to 14 people for 2 straight weeks, all packed in a high-visibility case. This first aid kit contains supplies for blisters and burns, wounds, sprains and fractures, and even CPR. It also comes with some standard medications, tools, and bandage materials. There is also a field manual included that provides plenty of tips and instruction. Starting a fire isn’t always an easy task. 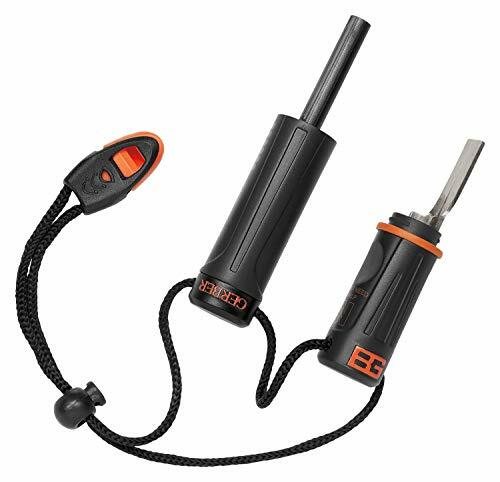 The Gerber Bear Grylls Fire Starter comes from survival enthusiast extraordinaire Bear Grylls’ line of products. It is a simple, compact fire starting device that consists of a metal striker and a Ferrocerium rod. This fire starter arrives at a convenient lanyard for easy carrying, and it even comes with an integrated emergency whistle, just in case your giftee needs it. 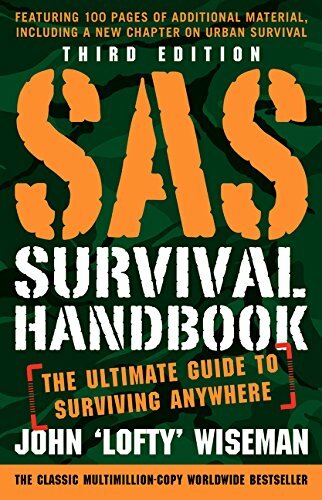 The SAS Survival Handbook, Third Edition: The Ultimate Guide to Surviving Anywhere is the quintessential guide to the outdoors that holds all the information the prepper in your life may ever want to know. It deals with every single conceivable emergency, disaster, or mishap scenario and talks about how to deal with them. The book covers preparation, food, first aid, camping, self-defense, climate, terrain, natural disasters, and more. This third edition includes an all-new special chapter that covers modern, urban survival, making it extra relevant today. Clean water can be hard to come by in emergency situations. The Big Berkey BK4X2 Countertop Water Filter System provides a versatile disaster solution. Fashioned from durable stainless steel, this water filter system comes with housing, filters, and fluoride elements. 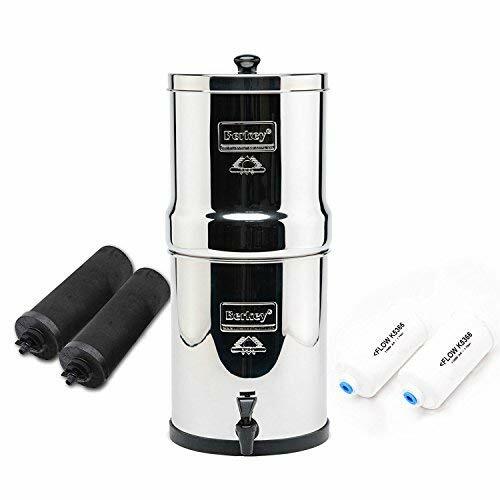 The Big Berkey BK4X2 is capable of storing 2.25 gallons of water at a time, and it has a long 6,000-gallon lifespan with both filters (3,000 gallons each). It can easily be used in homes with between 4 to 16 individuals. 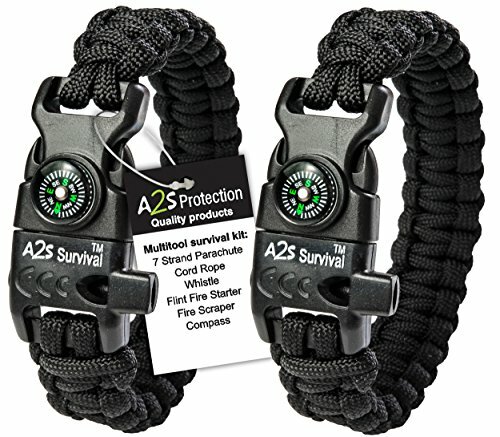 The A2S Protection Paracord Bracelet is a lightweight and compact bracelet that has five functions in one. It’s made from 12 feet of military-grade 550 parachute cord that can hold up to 550 lbs and be deployed easily. It also has a built-in compass, an emergency knife, a whistle, and a flint fire starter. This paracord bracelet comes in lots of different colors and sizes, including an adjustable size if you are not too sure what will fit your giftee. It’s comfortable, versatile, and highly functional – everything a prepper would want. Without access to electricity, many would have to say goodbye to their electronic devices. With the RAVPower Solar Charger, your giftee won’t need to. It is a surprisingly compact solar charger that has a high energy conversion rate, making it highly efficient and allowing it to charge up to two USB devices at once. 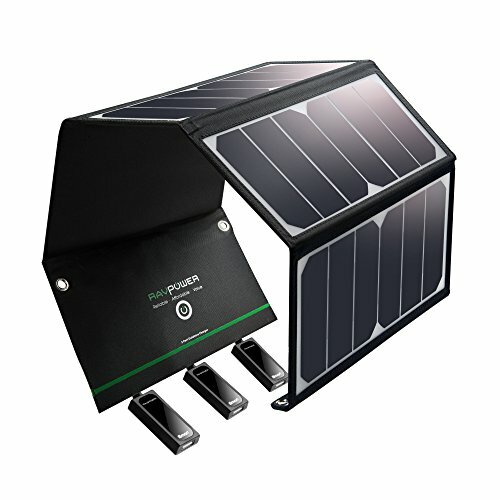 This solar charger uses modern iSmart technology, which allows it to adjust its charging current automatically based on the device it is using. In worst case scenarios, survivors may have to rely on strict rations to get by. The SOS Food Labs Inc. 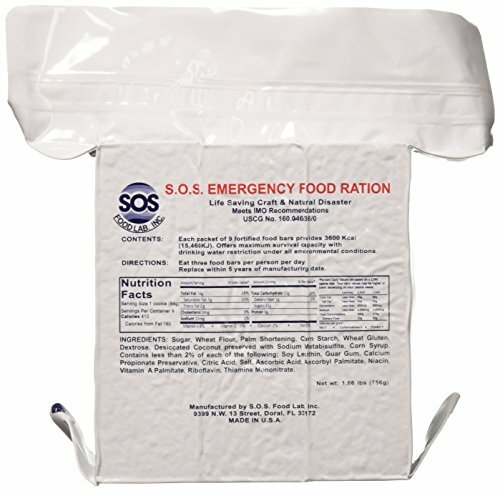 Emergency Rations 3600 Calorie Food Bar is an amazing product for this purpose. It is US Coast Guard approved and has a five-year shelf life, making it a good, safe emergency food option. Each individually packed food bar provides over 3,600 calories and has a surprisingly good taste. You can pick from cinnamon, coconut, or a mix of both flavors. So there you have it, 15 great gifts for the preparedness minded person in your life. there is always something useful preppers need, having backups is also high on the agenda as any product can fail…typically when you need it the most. By choosing something that’s practical you can be sure they will appreciate the sentiment and thought you have put into choosing the perfect gift for them.